I am Mathijs de Leng. I am currently riding for UWTC De Volharding - Wilton Cyclingteam. I started because my dad was a cyclist. I always went with him cycling and after a year I started racing . Before I started cycling I did tennis and soccer for about 7 years. I love racing in the mountains and tough races with lots of rain and wind. Wheels. Simply because a nice set of wheels can make an ugly bike look nice. My first ever win is the most memorable. I attacked as soon as the flag dropped, I was in the break away from km1, and finished solo. For sure Fabian Cancellara , because I like his style of riding and he won a lot of big races. That has to be Niki Terpstra winning Paris-Roubaix in 2014. I have got the Fat Joe track "All The Way Up" on repeat at the minute. 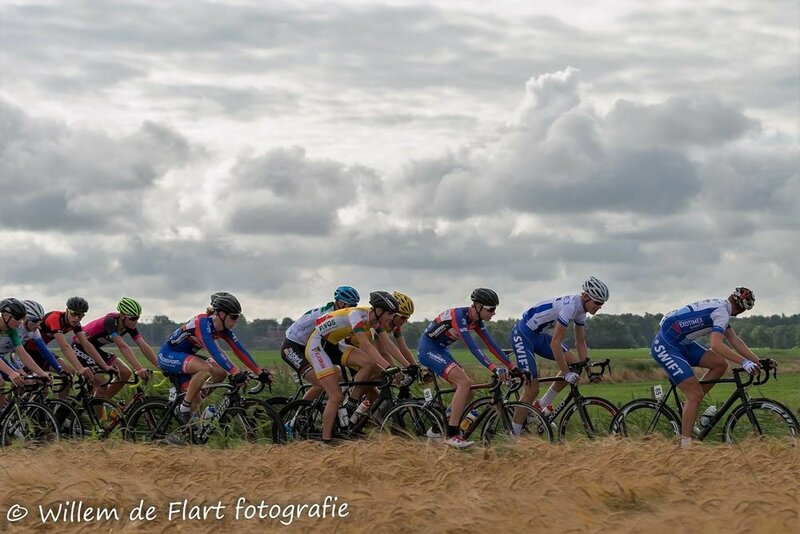 For this year I hope to ride all the races for Dutch junior national team. At the end of the year I hope to get a place by on a top development team for 2018.